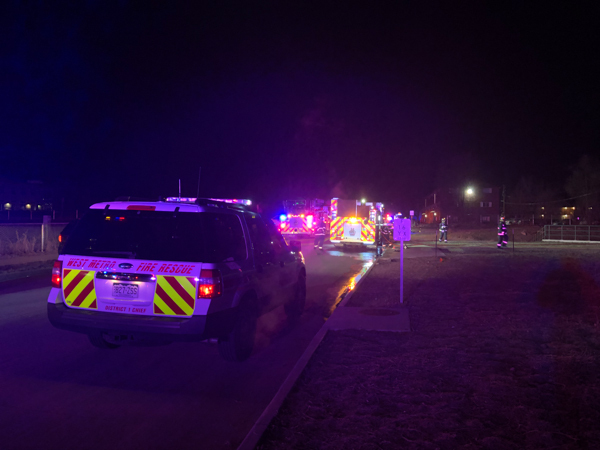 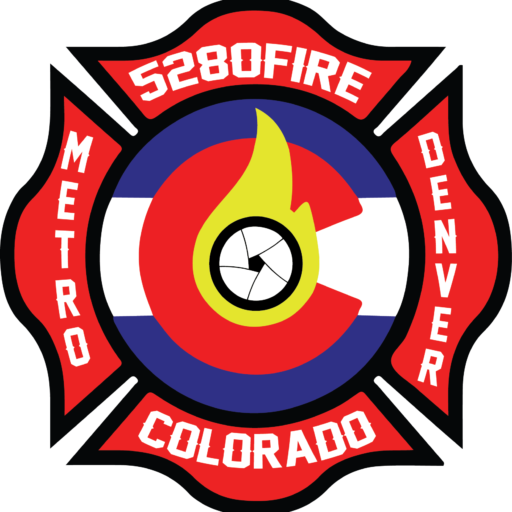 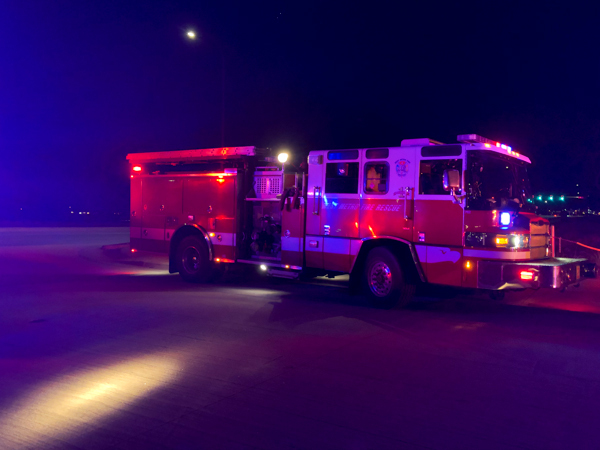 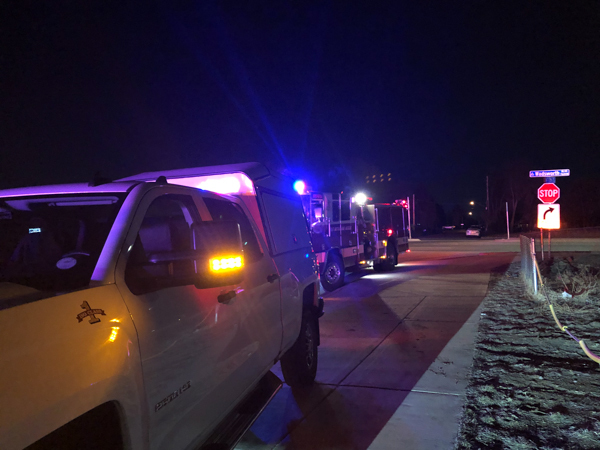 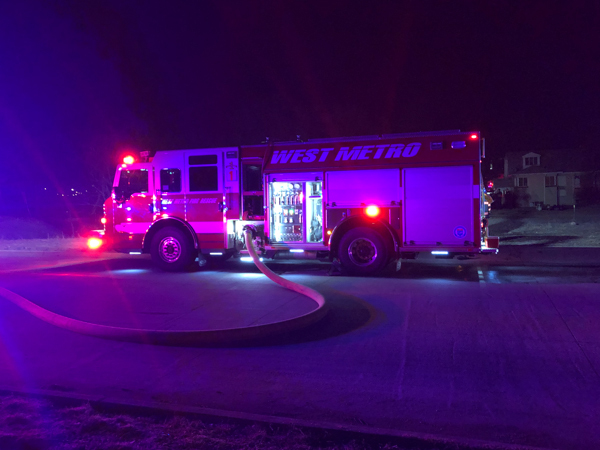 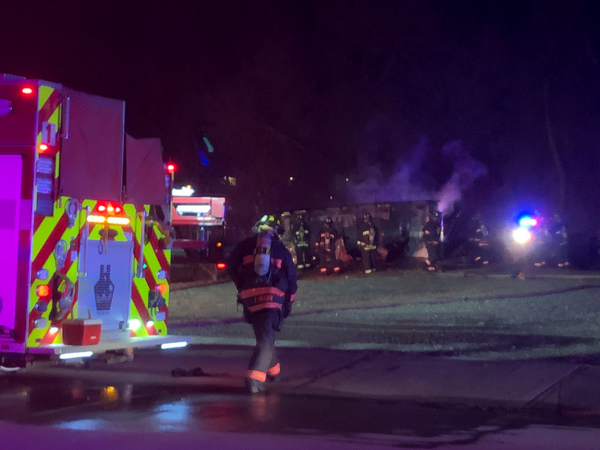 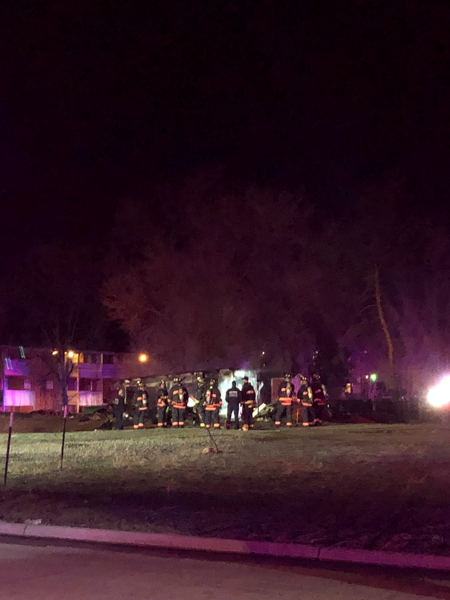 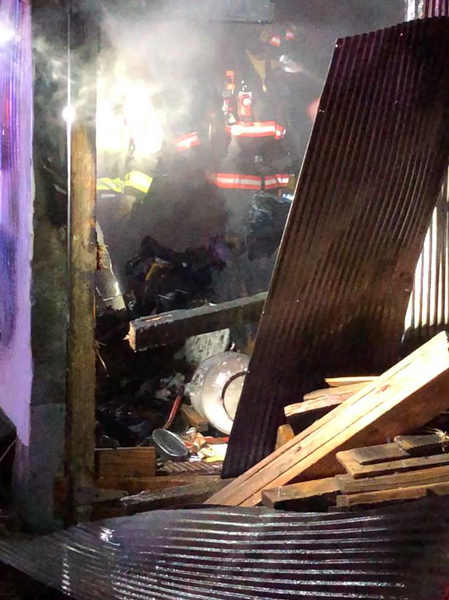 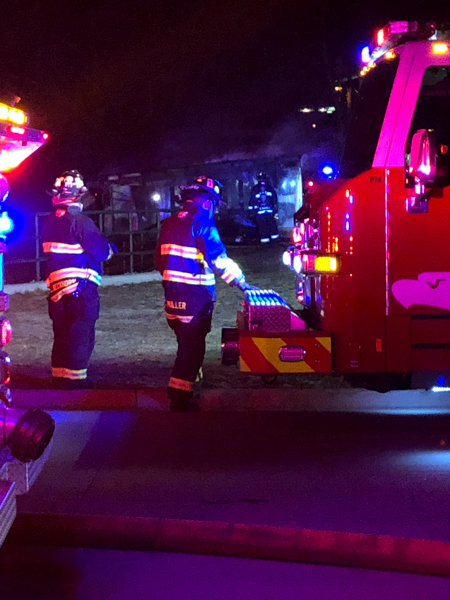 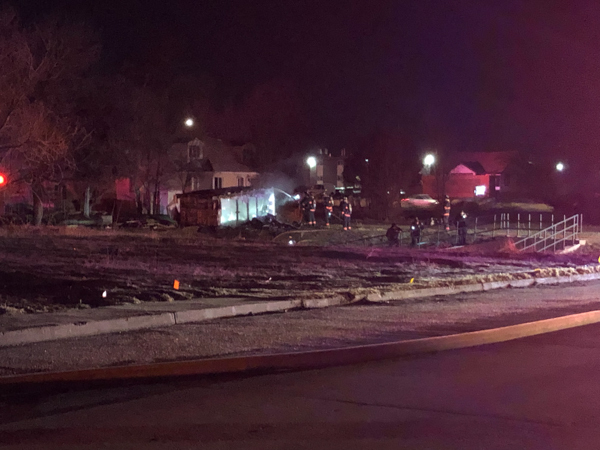 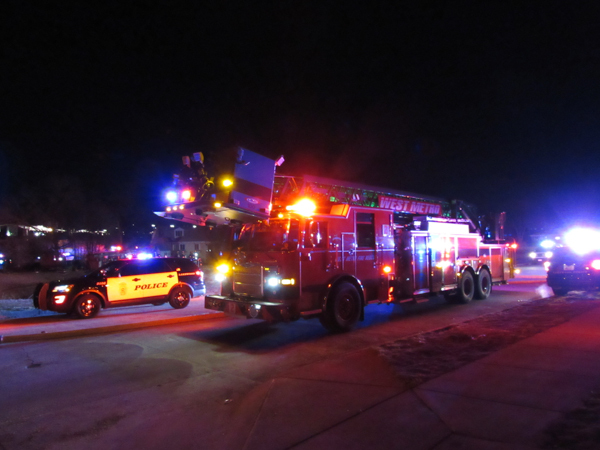 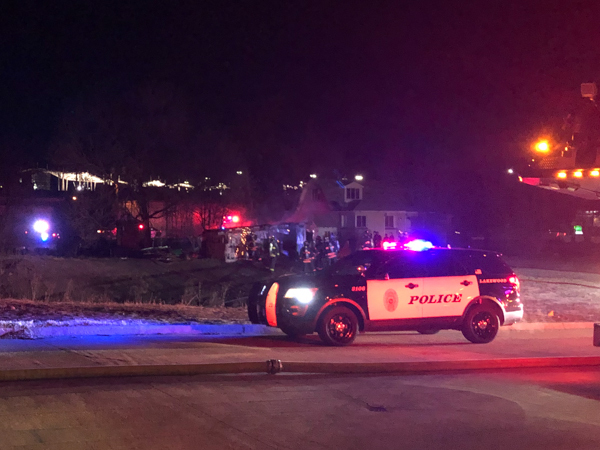 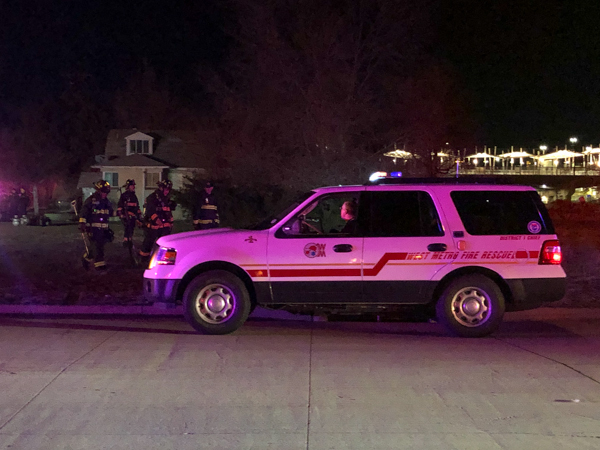 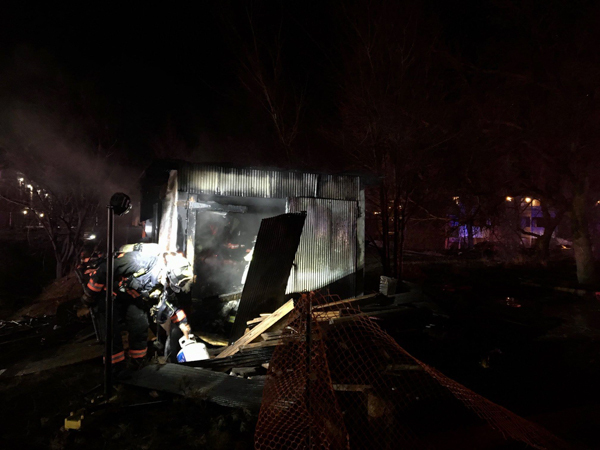 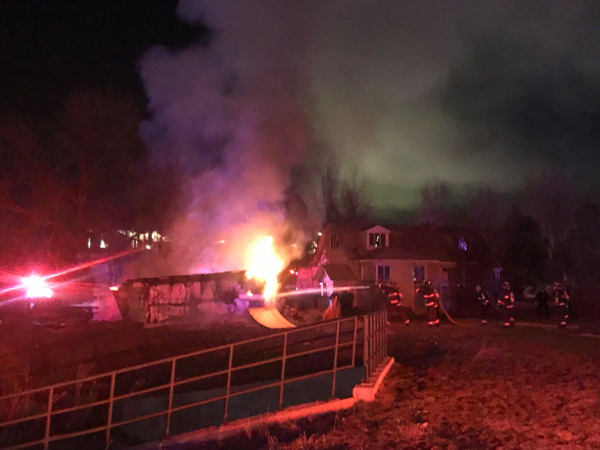 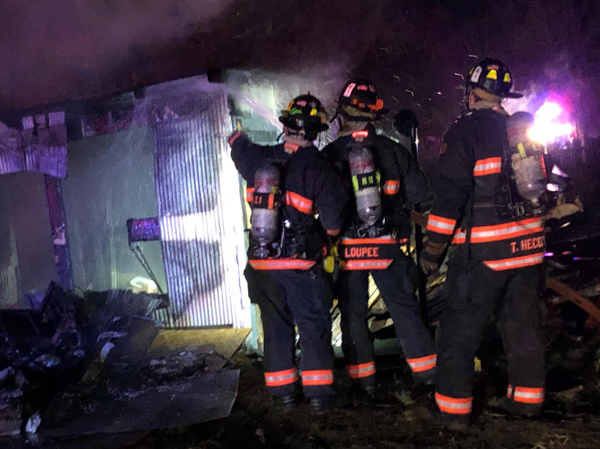 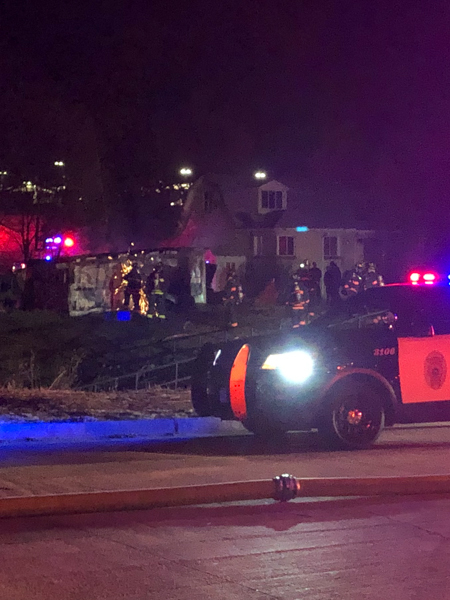 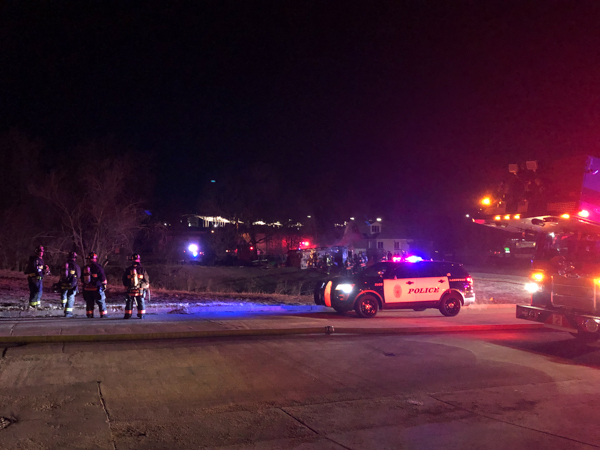 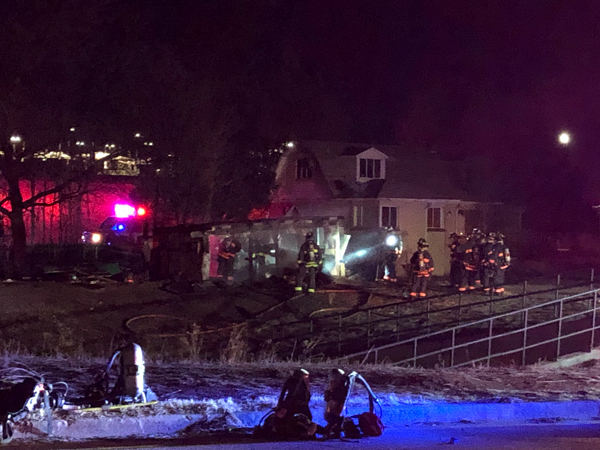 At 03:51 on March 20th, 2019 Jeffcom dispatched out West Metro Fire Rescue to a reported structure fire in the area of W. 12th Ave. & Wadsworth Blvd. 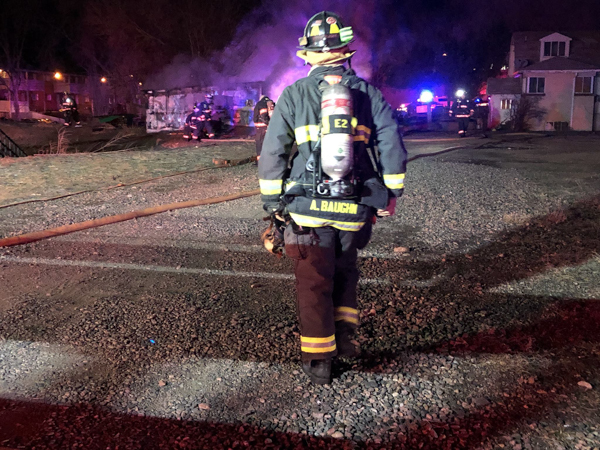 Engine 1 arrived to a fully involved outbuilding with flames and smoke showing, pulled a attack line in the offensive strategy. 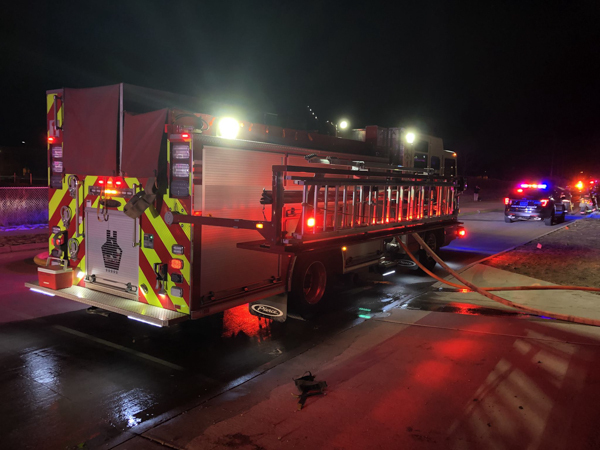 Engine 3 arrived and secured a water supply to Engine 1, District 1 arrived and assumed command and assigned Tower 2 to assisted with fire attack. 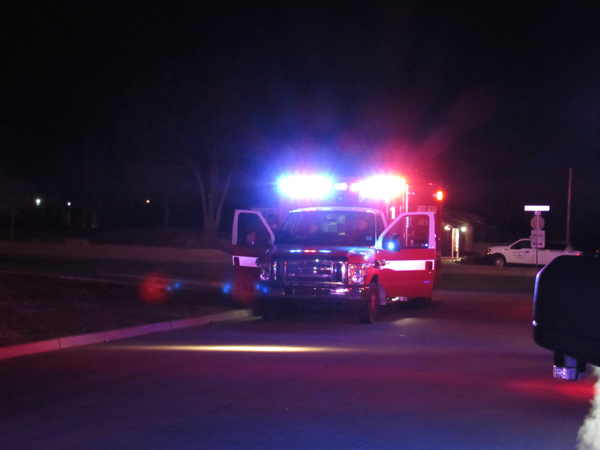 Engine 2 arrived and pulled a 2nd line in from Engine 1, Medic 1 assigned as medical group and Tower 8 as RIT. 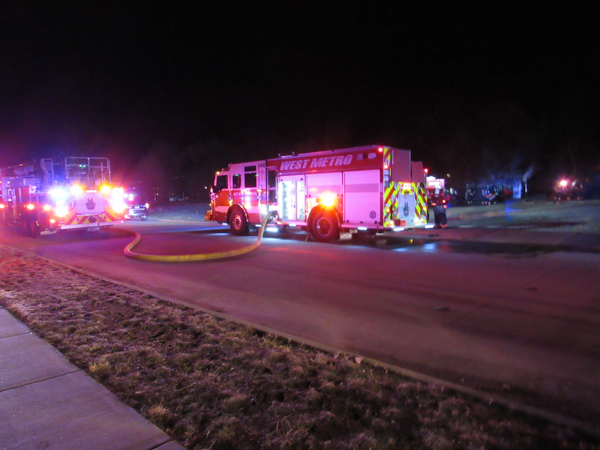 Command reported the fire under control at 04:11 and crews started overhaul. 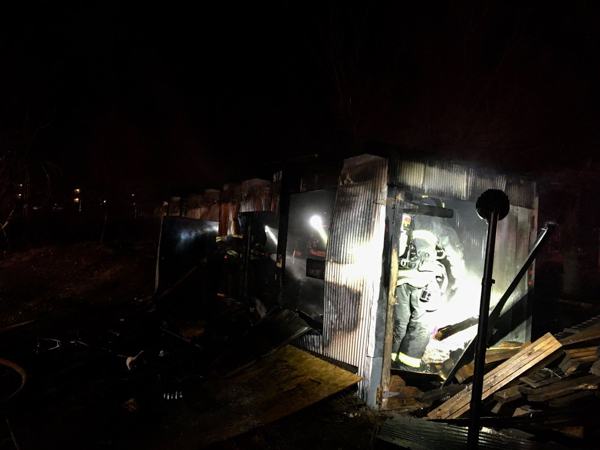 The building was a metal storage shed with propane tanks inside which may have been used for heat by transients in the area. 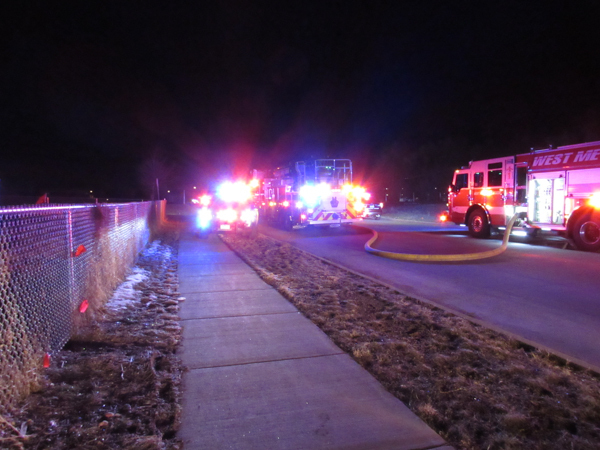 The cause of the fire is under investigation and no injuries were reported.